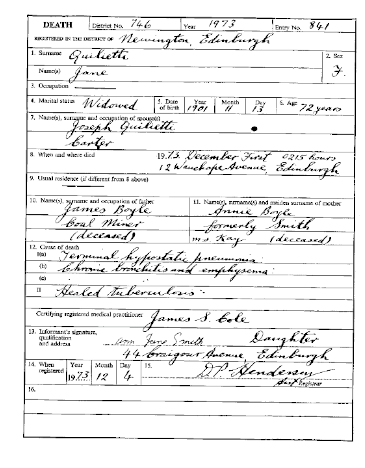 JOSEPH ANGELO QUILIETTI was born on January 6th 1898 at 1.30 in the early hours of the morning at 24 Greenside Place, Edinburgh. His father Emilio Quilietti was an Ice Cream Merchant at this time with eight premises where he sold his merchandise. His mother was Valentina Brattesani . 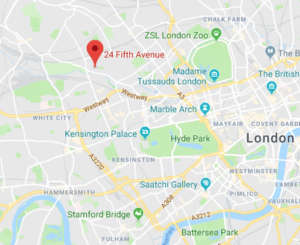 Soon after his birth tragedy was to hit the family when Emilio died two days later on January 8th and also at the family home of 24 Greenside Place. So Joseph never knew his father. Valentina was left with her six children to bring up the family alone. She was to lose two infant girls in the following months. Life was not good for the Quilietti family at this time. Valentina, to escape her harsh memories, moved houses to a flat further up the hill at No. 9 Greenside Place. 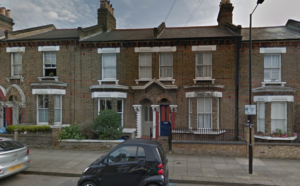 This would remain the family home for many years to follow. Valentina had local families who helped run the shops with her after Emilio died. One of these families, Irish by descent, with the surname Glass, helped with the children and especially Joseph the youngest surviving child. 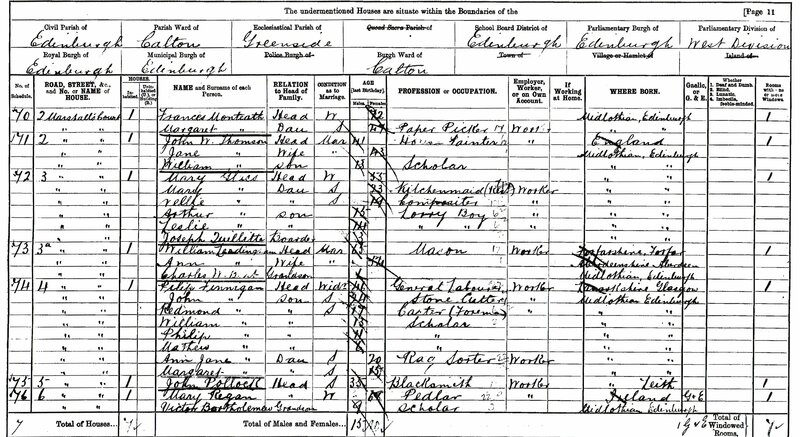 On the evening of the 1901 Scottish Census Joseph was living with this family at 3 Marshall’s Court [an address in Greenside]. Mary Glass was the head of the family and she was living there with her daughter Mary who was a kitchenmaid in one of the cafe’s. There was also Nellie, Arthur and Leslie along with Joseph staying with her that evening. Joseph was a beautiful child. This postcard image lay in two halfs in our photo box for many years. Life at that time must have been grim for the Quilietti family. Emilio died in 1898 followed by his daughter Eletta in 1899. 1900 saw the death of another of their children Amelia. Not only this but on the Brattisani side Valentina lost her mother also in 1900. Their was great sadness. Valentina had a younger sister Louisa Maria who was seventeen years her junior. However she certainly had a great part in the life of Joseph Angelo. After Valentina remarried Sante Brattisani in the year 1901 the next four years were just full of woe. With four still births following difficult pregnancies it was Louisa who looked after wee Joseph just like a little surrogate mother. 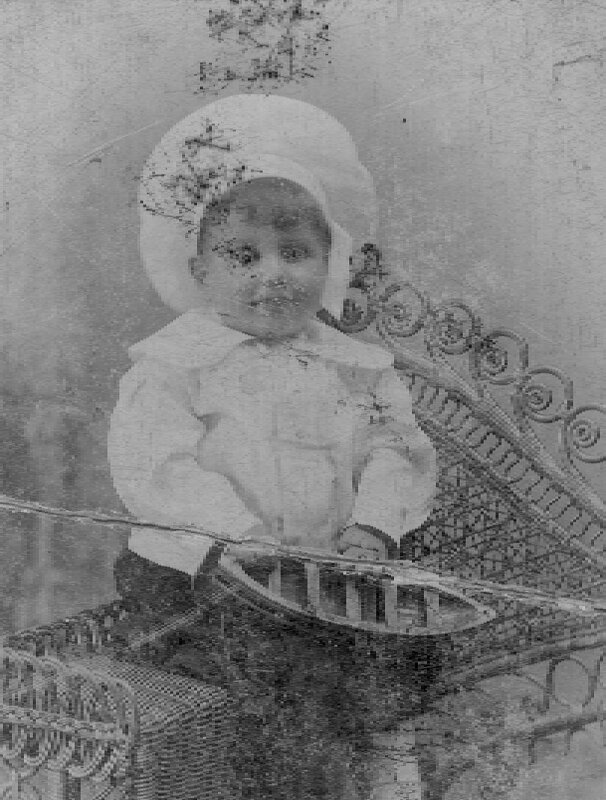 Then of course his mother Valentina died in 1905. 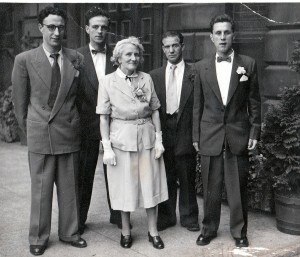 So much was the influence of Louisa in Joe’s life that on Joe’s death certificate in the year 1945 Granny Quilietti put down the name of his mother as Louisa Brattisani. Joseph’s first marriage was to an Irish girl Catherine Kelly. 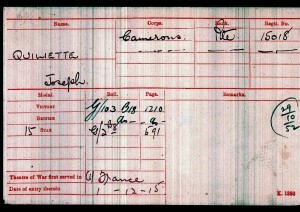 They married on 26th January 1915 before he went off to War. Catherine was three years older that Joe. Her father was Duncan Kelly and her mother was Mary Wynn. By the December of that year Joseph was fighting in the Theatre of France where he received the medals below. His Regiment was the 5th Batallion Cameron Highlanders. He was a Private in the labour core. He remained in the Army until 1918. After the war Joseph returned and things went back to normal for a very short while. That winter was a particularly harsh one and Catherine Jane caught a nasty bought of flu which went into her lungs. She never recovered and died age 23 at the City Hospital in Edinburgh on November 4th 1918 at the City Hospital. She was 23 years old. Joseph was left with a four year old son who he was just getting acquainted with. Joe’s sister Valentina Maria came to the rescue however and took on the task of looking after the boy permanently. She brought him up as her very own son with her new husband Alexander Murray. Joseph’s life went on. It seemed up until now that things hadn’t really been sweet for him. His sister graciously looking after his son left Joe free to start again. He met and married Jeannie Boyle on 4th September 1919. At the time the couple were residing at 332 The Lawnmarket, which is the stretch of the Royal Mile nearest to Edinburgh Castle. Jeannie Boyle’s father was a coalminer called James Boyle. Her mother was Annie Kay. 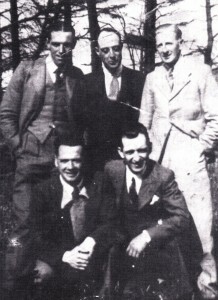 The Boyle genealogy is vast and is included in another page on this site. However Annie Kay’s line is more of a puzzle. Annie Kay was born in London, Middlesex, England circa 1870. Her parents were William George Kay and Jane Williamson. Annie’s first marriage was to Thomas Smith. The couple were married in Chelsea in London on 22nd January 1888. They had two children Ellen who was born in 1891 and Rose Anne in 1897. Thomas Smith must have died not too long after the birth of Rose Anne although the circumstances of his death is to date unknown as he would have been young. 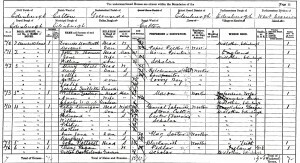 We know Annie then re-married in Lanarkshire, Scotland in 1900 and at this point in her life she was housekeeper to James Boyle with whom she married. 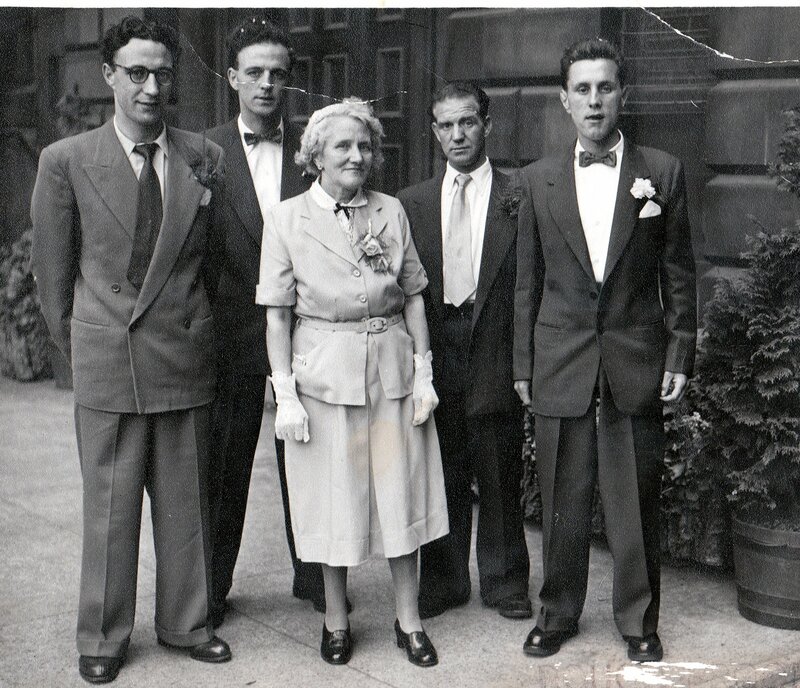 They in turn had two children Jeannie who was born on 13th November 1901 in Whitburn, West Lothian in Scotland. 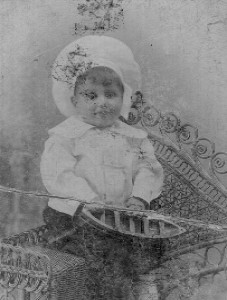 Sister Jemima came along in 1904. Annie Jane Kay Smith or Boyle died in Storrie Pit in Cambusnethan in Lanark on 20th September 1913. There was no cause of Death on the Certificate. 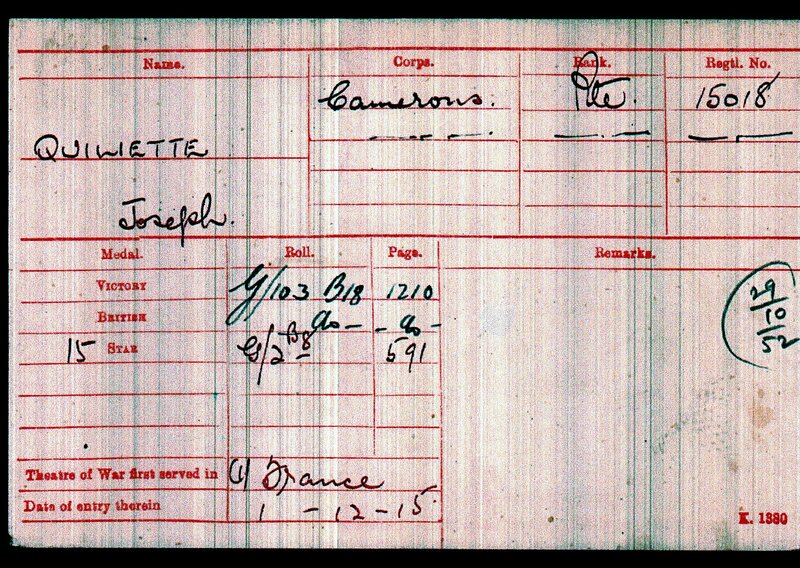 For whatever reasons we find Jeannie Boyle in Edinburgh and it was on 14th September 1919, just after the end of the Great War, that she married Joseph Anjelo Quilietti, who as said above had been widowed. Their children soon followed, Annie in 1920, Joe in 1922, Jemima in 1924. Jemima died with T.B. when she was only 1. Arthur came along next in 1927, then Giulio in 1929, Jeannie in 1931 and the baby was Bobby in 1934. 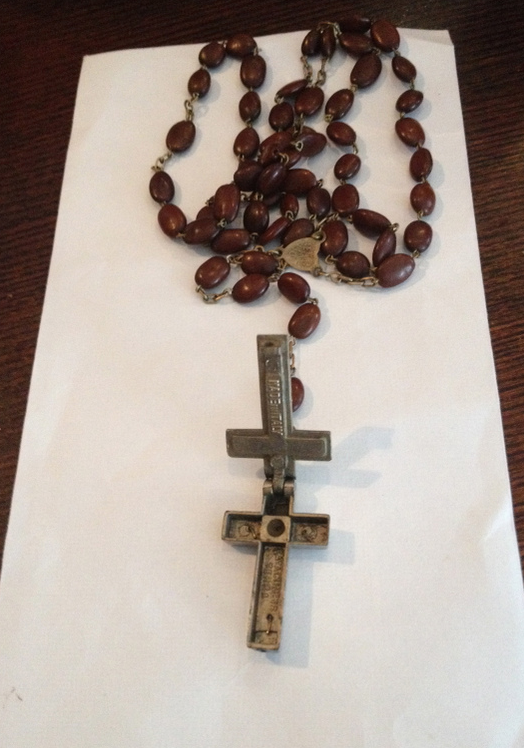 Granny was buried with Joseph Angelo at the Tynecastle end of town in Dalry Cemetery.